Nintendo announced on Twitter that it would air a special Animal Crossing presentation tomorrow, Nov. 2. The Nintendo Direct broadcasts will kick off at 10 a.m. ET, but fans of the small-town life simulators worldwide shouldn’t expect any big news when it comes to the upcoming Animal Crossing mobile game — or its next console, the Switch. 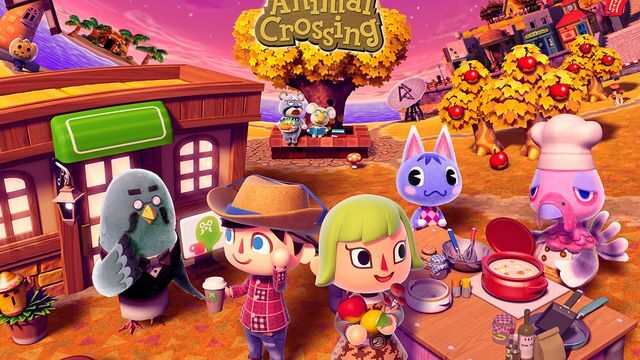 Instead, Nintendo is limiting the news to Animal Crossing: New Leaf’s recent updates. A patch for the Nintendo 3DS game adds amiibo support this fall, introducing both amiibo card and figure functionality to players’ villages. Both Animal Crossing and other Nintendo-related amiibo will unlock new content for the game, like furniture and clothing. A repackaging of the original game, retitled Animal Crossing: New Leaf — Welcome amiibo, will also be available this holiday season. It comes with the free update available to current players baked in at launch. As part of the Nintendo Selects line, the Welcome amiibo edition will continue to retail for $19.99. One other possible news of interest, though, is the first new details on Miitopia since its announcement earlier this year — at least for Japanese viewers. The Japanese Nintendo Direct livestream will include Miitopia on its agenda, which should give a better sense of what this 2016-slated Nintendo 3DS game entails. Nintendo revealed the game at the end of September’s Japanese Direct presentation with little more than a logo and a holiday release window. As for the Animal Crossing mobile game, which Nintendo first promised for a fall 2016 release, we’ll have to keep waiting for our first look. Company president Tatsumi Kimishima explained to investors last week that after the success of Pokémon Go, Nintendo switched gears from its announced Fire Emblem and Animal Crossing smartphone titles. Instead, players can next look forward to the more broadly appealing Super Mario Run, which hits iOS devices this holiday. Animal Crossing and Fire Emblem are expected to launch on mobile before the end of the fiscal year, or March 2017. The Nintendo Switch, which Nintendo will detail in full at a conference in January, is also due by the end of next March.